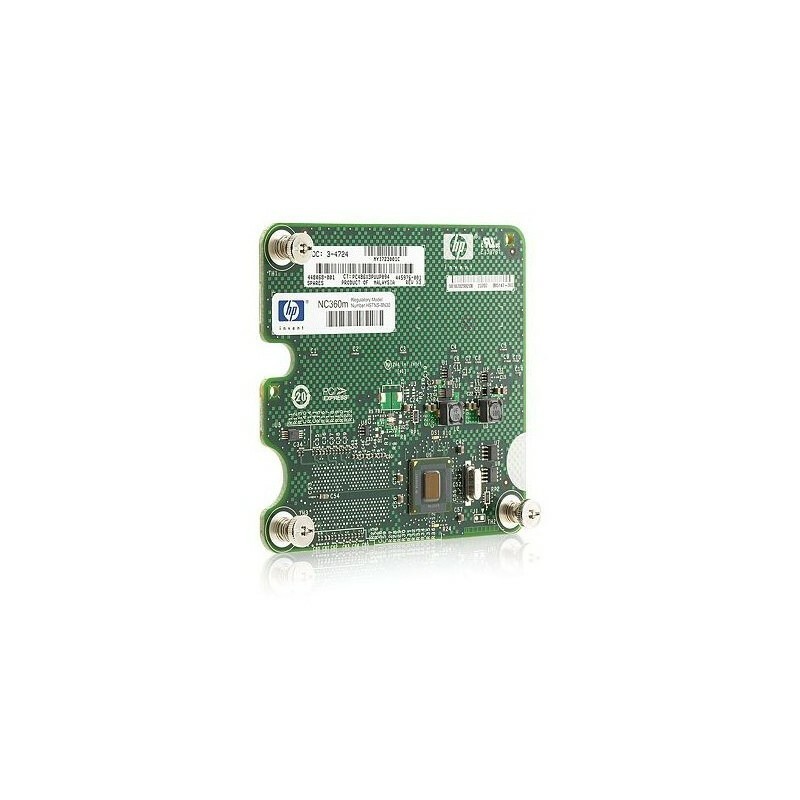 The HP NC360m is a HP BladeSystem c-Class network adapter providing two Gigabit Ethernet ports on a single mezzanine card. With the addition of the NC360m, HP BladeSystem c-Class customers now have the choice of an HP network adapter that uses either an Intel or Broadcom controller. The NC360m is designed for applications requiring additional Gigabit Ethernet ports than those provided on the server. It is ideal for virtualization, security, server consolidation, network segmentation and other BladeSystem applications requiring additional network port density. ; Tested and proven to meet demanding BladeSystem standards, the adapter ships with the advanced server features that ProLiant customers have come to expect, such as support for failover and load balancing, TCP/IP checksum offloading, large send offloading, Wake-on-LAN, PXE, jumbo frames, VLAN tagging and much more. Dual Port Gigabit Ethernet Throughput. The HP NC360m Dual Port 1GbE BL-c Adapter supports up to 2000 Mbps full duplex Ethernet transfer rate per port (4000 Mbps combined) delivers outstanding network performance that improves response time and removes bottlenecks across the entire network. The NC360m supports jumbo frames as a way to achieve higher throughput and better CPU utilization. Jumbo frames are particularly useful for database transfers and tape backups. Two ports on the NC360m are transmitted to separate enclosure interconnect bays providing redundant signal paths.